EDITOR’S NOTE: The following article originally ran on our blog in August of last year. We’re republishing it here. Special thanks to author Jayna Gavieres, Film Independent blogger. Each January, the Sundance Film Festival (located in snowbound Park City, UT) welcomes independent filmmakers from all around the world, hoping to jumpstart their careers by premiering at one of the countries most renowned venues for independent film. But! Getting there requires being selected from the 14,000+ shorts and features submitted each year. And attention to detail can make a huge difference in helping your film stand out amongst the crowd. On September 5, Sundance programmers Heidi Zwicker (features) and Dilcia Barrera (shorts) stopped by the Film Independent offices to join Film Education Associate Director Paul Cowling for a spirited Q&A devoted to helping Sundance aspirants cross T’s and dot I’s in advance of the festival’s final, end-of-year submission period. Here are the highlights, including what you should definitely be considering if you’re thinking of submitting either now or in the future. For Sundance, features must run 50 minutes or longer and be World Premieres for U.S. films or International Premieres—except for those films in the curated, invitation-only “Spotlight” category. The festival accepts 120 features from a pool of around 5,000 submissions. This year’s deadline is September 18. There may be some slight wiggle-room for films with extraordinary or unavoidable needs, but certainly don’t count on it. A Sundance short requires the length of the film to be 49 minutes or less, though the average is usually between seven and 15. They can be narrative, animated, documentary or anything art-driven and experimental. Only 60 short films are chosen from a submission pool of around 9,000—all due on September 15. And sorry filmmakers, but Barrera said there is absolutely no wiggle-room for the shorts submission date. So get on it! Some of the Sundance categories that were mentioned during the Q&A were: Midnight, World Documentary, Spotlight, New Frontier, Premieres and Documentary Premieres, just to name a few. The programmers highlighted a special category called Next, which are U.S. films that combine edgy narratives with innovative, forward-thinking production. A great example of a Next film is David Lowery’s A Ghost Story. It’s important to note that ultimately it’s the programmers who will decide which category your short of feature will play in. Regardless of your film’s budget, it’s usually a good idea to save money and there are a few reasons why. Barrera advised the audience to add a festival marketing line item to your post-production budget. In the event that your film does get chosen for Sundance (or any other film festival) it’s going to cost you for deliverables prep, travel, lodging, materials, etc.—so it’s wise to think ahead and be prepared. Another way to save during the submissions process is to send Vimeo links. Although DVDs will still be accepted, the programmers highly recommend not wasting your money on them. Online links not only save money, but time as well. Vimeo is the most common way filmmakers submit their films. But remember not to change your password during the process, so programmers can have easy access to your film. You know the saying, “It’s not what you know, it’s who you know”? Don’t believe it—it’s both. If your film doesn’t get accepted in the current year’s festival, it doesn’t necessarily mean your film isn’t good. Both Zwicker and Barrera emphasized how powerful it is to build professional networks within the industry, including their own. It’s not unheard of for programmers to love a particular film that just doesn’t fit in the year’s program for whatever reason and pass on a recommendation to another programmer or another festival who could hopefully do more for it. The bottom line? Submit your best work. One of the most important tips that Zwicker and Barrera shared is to follow the submission guidelines and refer to the FAQ section for anything you may be unsure about. Sundance doesn’t require an electronic press kit (EPK) so they advised not to send one. If the programmers need more info from you, they’ll reach out and ask for it. Zwicker also reminded the audience not to send anything that isn’t eligible or that doesn’t qualify. Again, it saves a lot of time. In the event that your question isn’t answered in the FAQ, email questions to programming@sundance.org. It may not be a stated requirement to have rights and clearances in order, but getting the rights to your music and clearances for anything used in your film is highly recommended. Should your film play at Sundance, you never know who’ll be sitting in the audience.Barrera informed the audience that music studios have special clearances for festival runs. But should your film sell, the clearance process changes, and changes fast. Even if you get your film in during the first month that Sundance begins accepting submissions (June) there’s a possibility that it may not get viewed until the end of the submission period (September). But rest assured, it will be seen in its entirety by at least one screener. Barrera wants you to know that your film is “not out of the competition until the very end”—when the final lineup is announced. Think of your submission fee as a symbolic representation of all the administrative work that the festival programmers endure. Not only does it help keep fairness within the competition and the filmmakers, it also greatly supports the Sundance Institute itself. And don’t expect to receive any feedback as to why your film wasn’t chosen or on what you could change to have a better chance next year. Unfortunately, programmers just don’t have the time to give feedback to all 14,000+ submissions. But most importantly, it shouldn’t matter what the programmers think. It’s your film, after all. Zwicker said the programming committee understands that most features that are submitted will be incomplete in some way (color, sound-mixing, etc.) and that you can always add card inserts for missing sections if you feel it helps. Barrera said that even Wong Kar-wai was editing In the Mood for Love nearly up until showtime—though that was a very rare case, and that Sundance more typically asks for final versions a few weeks before the festival. And unfortunately, they will not accept an updated version of either short films or features. First and foremost: submit work you’re comfortable with, whether it’s a rough cut or not. So submit a film that exemplifies your best effort. Also, take into consideration that when and where screeners, programmers, or even a wider audience might see your film isn’t always (or usually) something you have total control over. 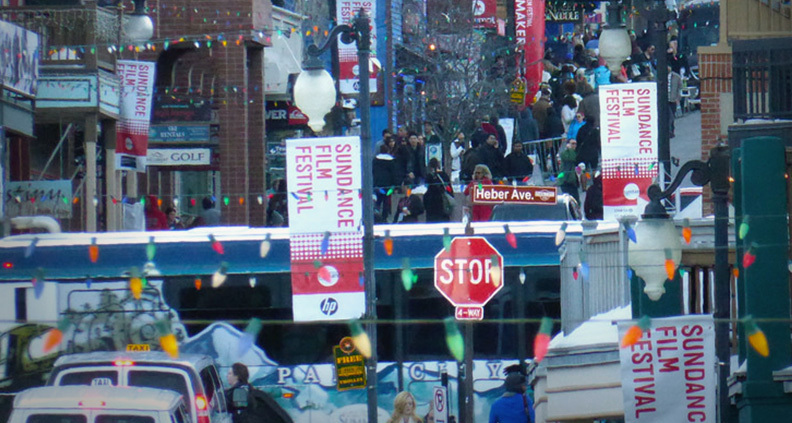 There are quite a few myths floating around out there about submitting to Sundance. But the two that were in discussion during the Q&A last week were: A) that you have to know someone to be accepted into the festival, and B) that Sundance is only interested in previous festival alumni. Though—as mentioned—it’s important to have networks in the industry, insider-ness doesn’t trump quality when selecting the final lineup. Though some of the same names do tend to show up at Sundance with semi-regularity, it doesn’t mean the programmers only look for alumni. Sundance looks for certain qualities to fit their program, and the programmers work year-round to uphold the festival’s reputation as a festival of discovery. Follow Dilcia Barrera (@dilabar) and Heidi Zwicker (@Zwicklovespats) on Twitter. For more information about upcoming Film Independent events, click here. To learn more about our Film Education programs, click here. Filming the City Without the Hassle: The A-Z of Shooting in L.A.